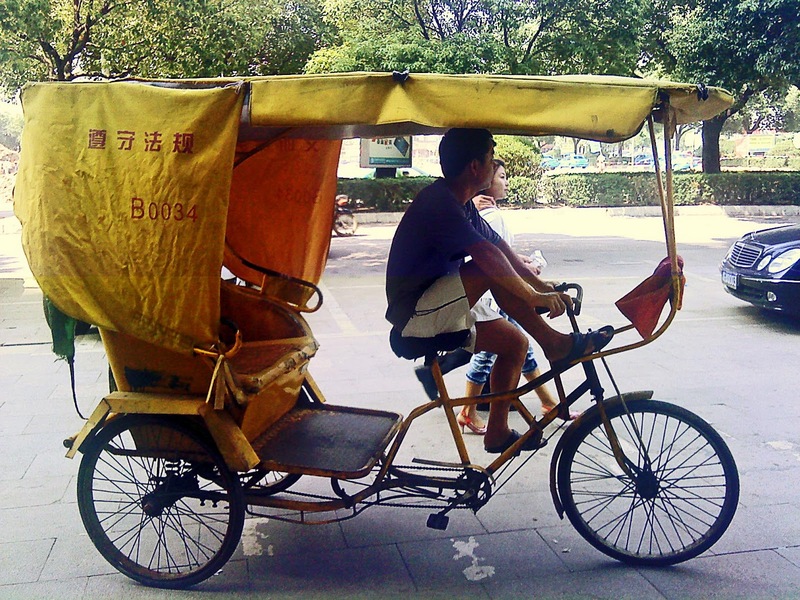 In this post you will find pictures of autorickshaws (rickshaws and cycle-rickshaws on the streets of China, as well as a silhouette of a cycle rickshaw. 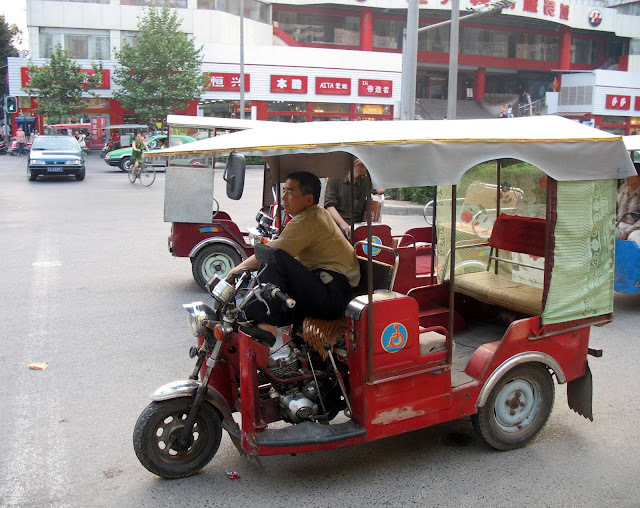 These three-wheelers are a common mode of public transport in Asia. Here the auto rickshaw driver is waiting for a fare. 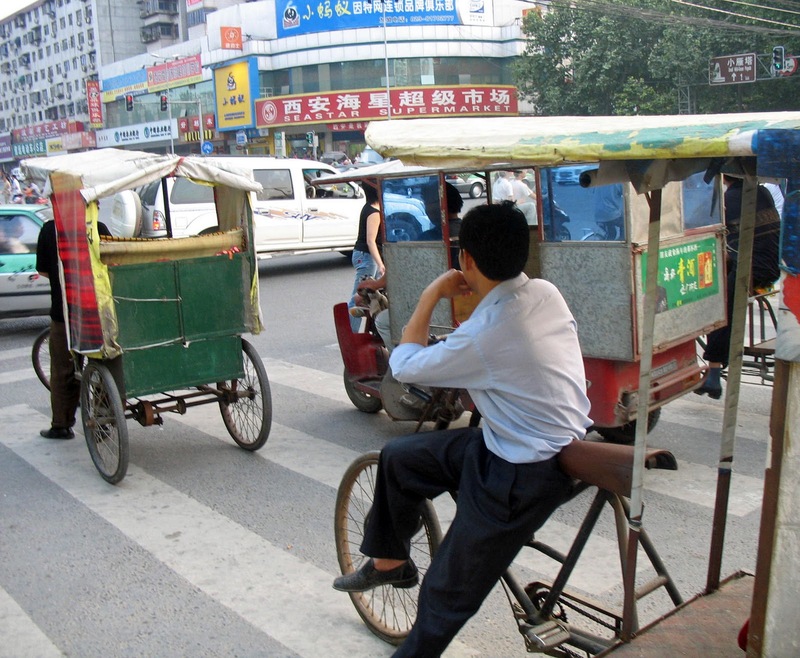 The rickshaw is bright red in colour and has seating arrangement for four people. The background is a busy city street. 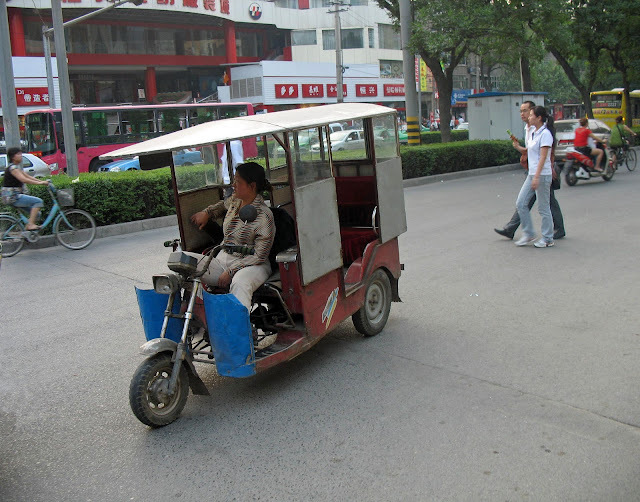 In the photo below you can see a smaller rickshaw. It is driven by a woman driver who is waiting for a fare on the streets of China. The background is a busy city street. This last photograph is also shot on a busy city street. It is of a cycle rickshaw. The driver is waiting for a fare and there are several other rickshaws in the foreground. This is a photograph of a cycle rickshaw on a road. The rickshaw driver is relaxing, his feet up, waiting for a traffic signal. The contrast created by the yellow tarpaulin with the blue shirted rickshaw driver and the greyness of the road makes this picture one of the best here.